Today was a blazin’ hot day in the southern United States. I spent the majority of it inside filing papers and preparing for final exams (session 1 is almost over, yippeee!!). This is how I faired the weather today.. The jean shirt was worn in the cold offices and classrooms that i spent much of my time in today. Outdoors, the jean element came straight off, otherwise i’d risk a heat stroke. 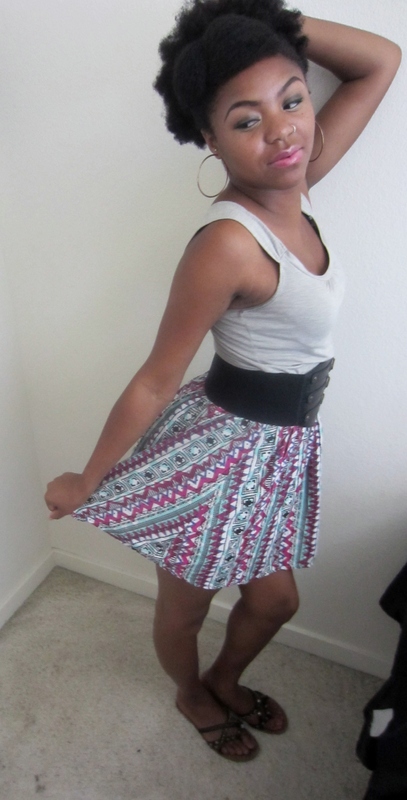 This outfit is centered around the skirt. 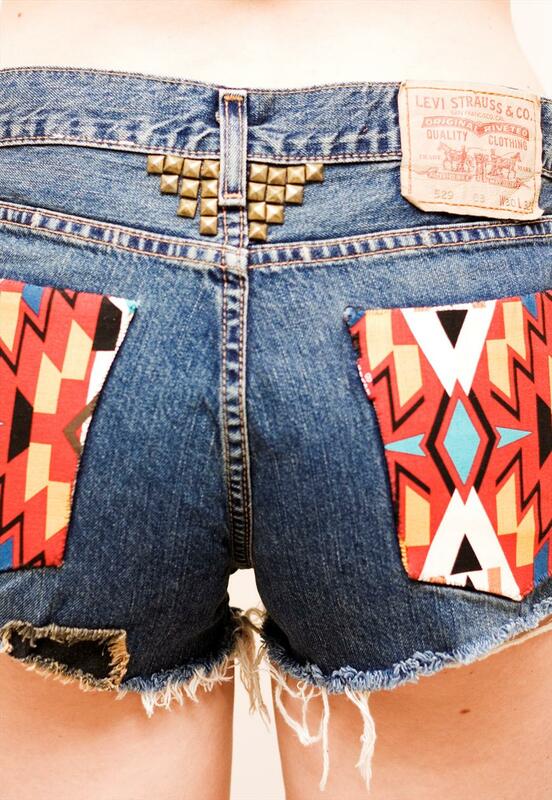 A touch of aztec never hurt anyone! 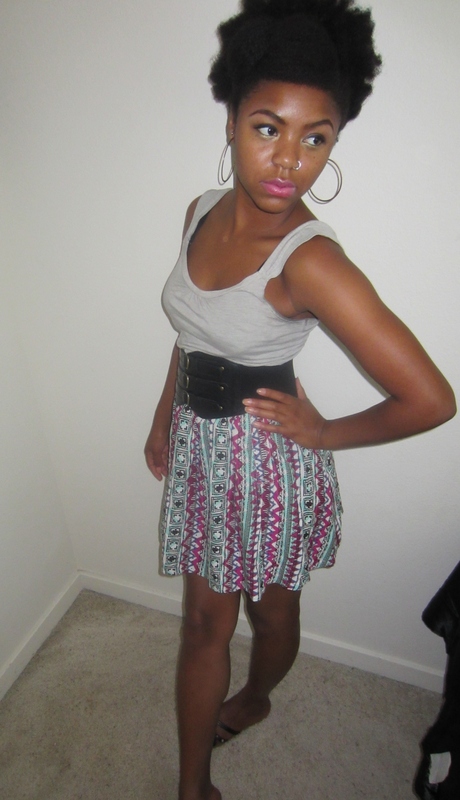 &if you glance at this little aztec number, you’ll see I got a little mint in there too…trend bonus! How do you guys like these pieces? 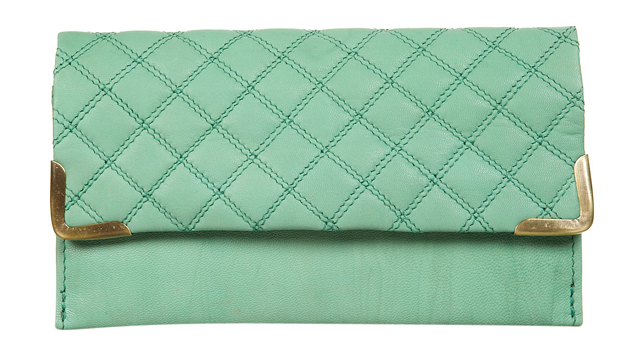 Isnt mint dazzling? 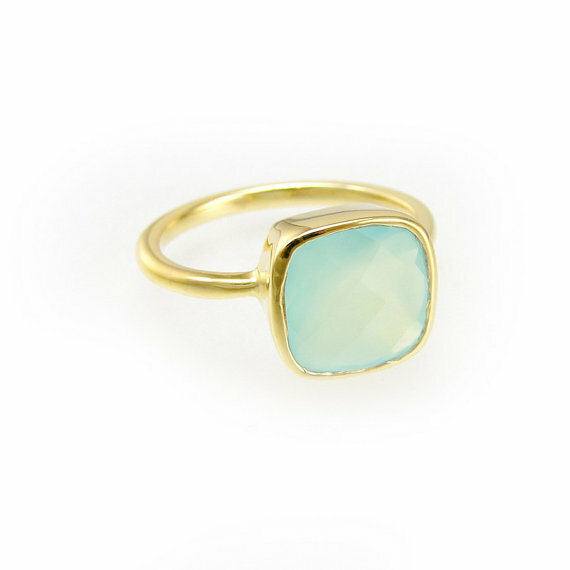 Hello my blog-loves! As you all know I generally talk about fashion and beauty. Well hair is a part of that too! I’m natural as most of you may have gauged from my pictures but i get a lot of questions from people I meet about my hair and how I care for it, etc. So I thought I’d answer a few of those FAQs here! …and generally whatever style I do lasts me for that entire week. I mainly do low manipulation or protective styles. What are some of your favorite/go-to hairstyles? 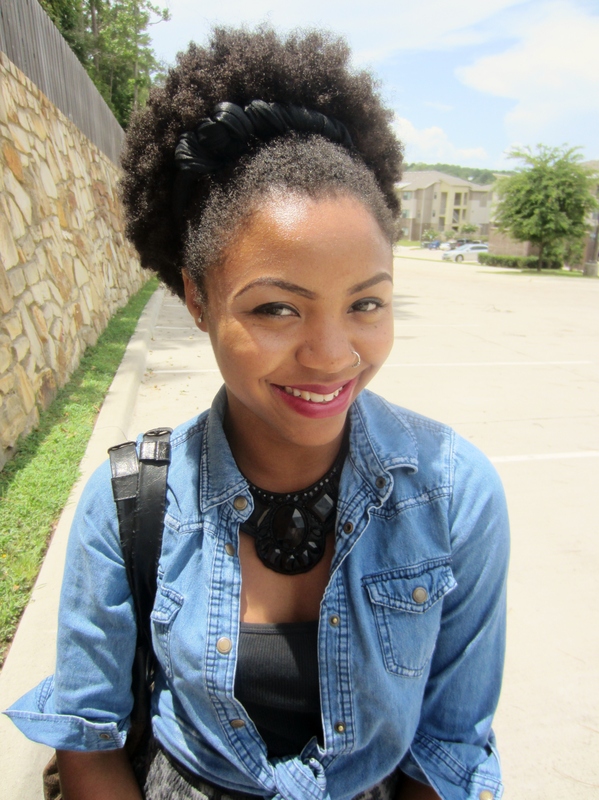 I mainly do braid-outs, twist-outs, and updos. 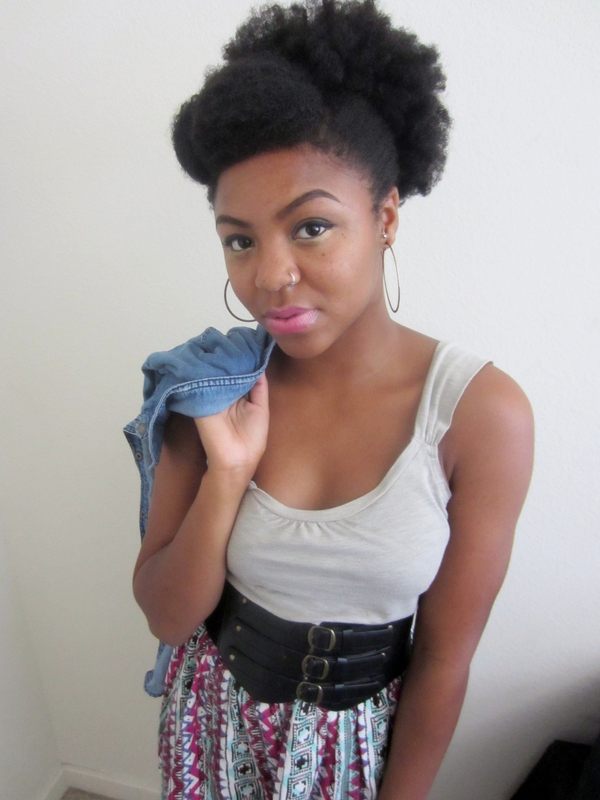 Most of my styles with my natural hair have this as a basis. Do you think you will ever go back to relaxers? Nah. Highly doubt it. 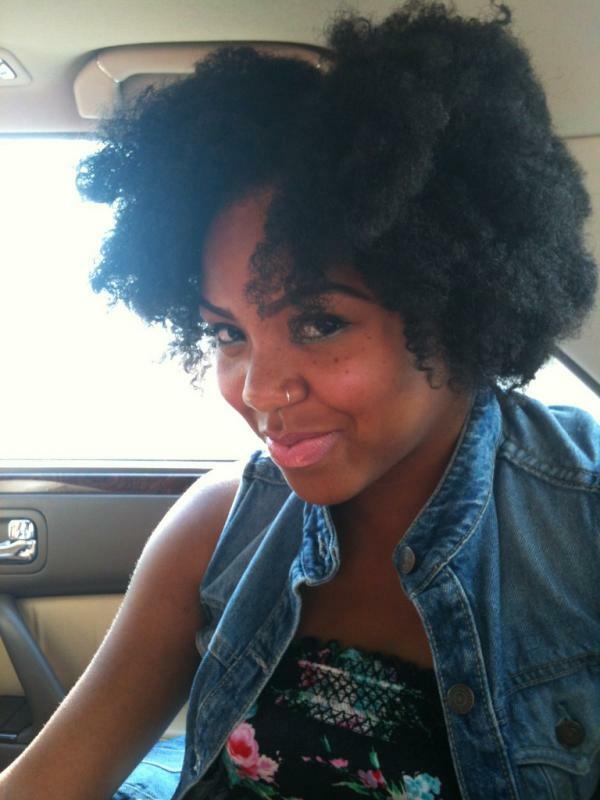 What do you think about girls with relaxers (or any chemical process)? I don’t think anything is wrong with it at all! I truly believe that you can have healthy relaxed, colored, or otherwise chemically processed hair and look beautiful with it! However, i will say that since your hair is not in its natural state and has been chemically altered, it starts off in a weaker state than natural hair and a little more has to be done to rebuild the strength of chemically processed hair to that natural level of strength (i.e. more conditioning, or protien treatments, necessity of more frequent trims, etc.). It is a personal choice though, and neither is wrong or right! Hopefully I’ve answered many of the questions people have about my hair and maybe informed you a bit on natural hair in general! If you have any more questions or comments, leave ’em below! OOTD: Just a day in the life…. Like I said, just a regular day in the life! Nothing fancy. Hate it, Love it? Let me know! Doesn’t Marilyn look beautiful? Gotta Love Miss Monroe. And the style of swimsuits that were popular in her hay-day are making a major comeback in Summer 2012. Many designers are creating fashionable one pieces cut similar to the one she is wearing while others immolate the style in bikinis by using bandeau style halter bikini tops and high-waisted bottoms. The retro style is very complimentary to a curvy shape, accentuating curves without making them look bulbous or slutty and the extra fabric that comes in a swimsuit style like this does well to hide any major problem areas you might have. Retro style swimsuits are very chic and trendy right now and they are a great way to look fab while being comfortable in your own skin at the beach this season. Here are a couple of cute ones I’ve found. 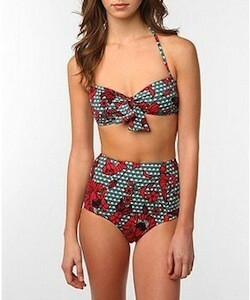 I’m thinking of trying a retro swimsuit this season, what about you? Do you like them or do you think they are more granny than chic? Share your opinions in the comments below ! Hey dolls ! 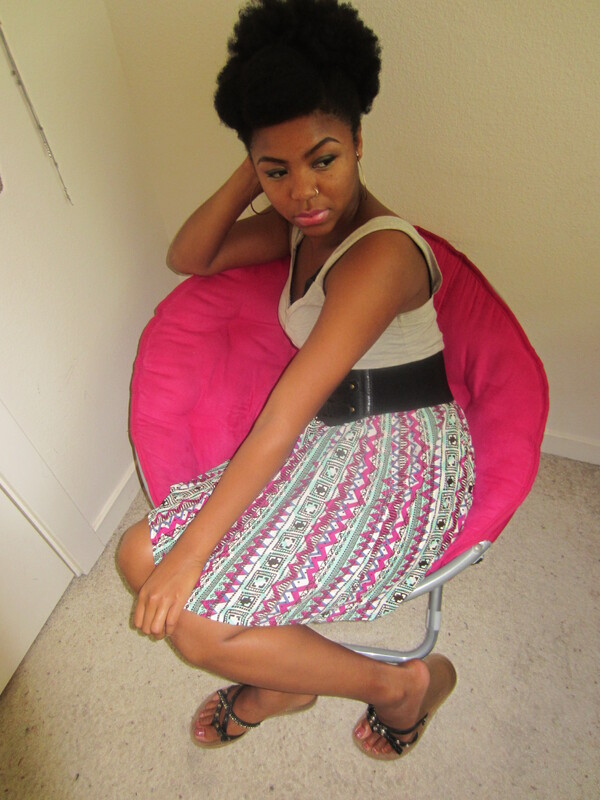 I am here with the top 5 things a fashionista just can’t do without for the summer. Let’s get right to it ! 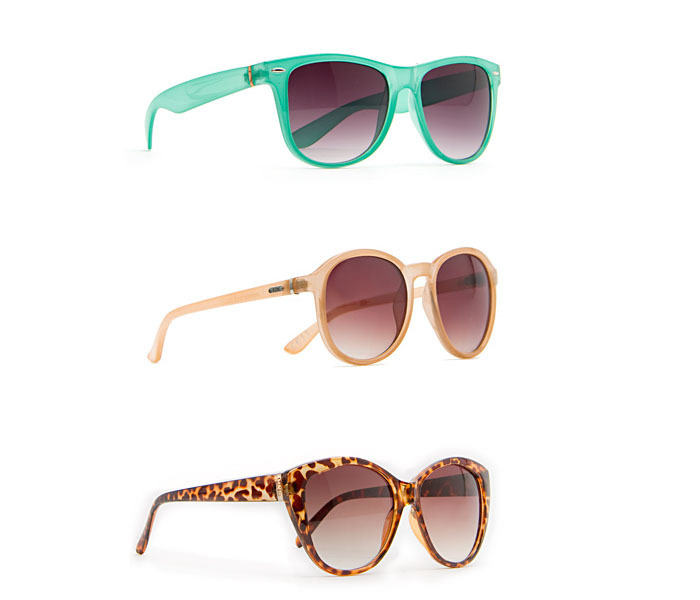 Sunnies are the ultimate summer accessory! They shield your eyes from the blinding rays while making you look glam. Pick up a pair in a bright, fun color, cool shape or funky print, or go for the classic-style shade. Whatever suits your style! Dresses are ideal for summer time, especially the one with a flirty cut and tropical-esque floral print like the one above. Whether mini, midi, or maxi, when selecting a summer dress, make sure it is flattering to your figure and has breathable material and cut for the warm weather. 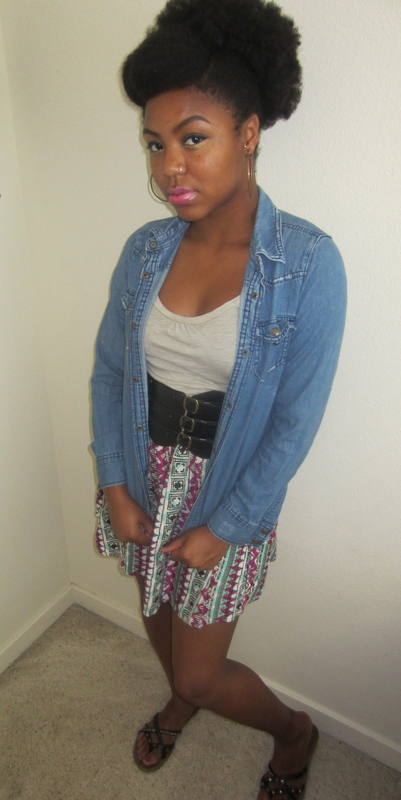 The floral print blouson dress above is from Forever 21 and costs $24.80. C’mon, its summer! You gotta have a little fun in the sun, and that usually involves getting wet. Whether for a trip to the beach, or the neighborhood pool, you gotta be ready to pull out your swimsuit at a moments notice. There is a vast variety of cute popular swimsuit cuts for Summer 2012. 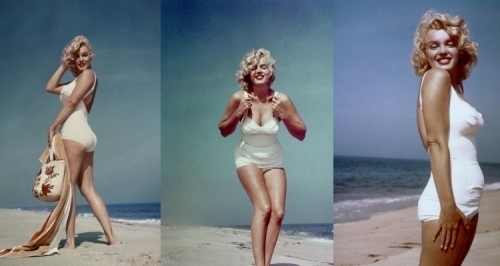 From the retro cut to the one shoulder, be sure to pick the swimsuit that will be most flattering to your body type. It’s the best way to ensure you will be confident and avoid embarrassing wardrobe malfunctions. Who wears short shorts? We wear shorts! Its summer, its hot, and you can’t wear pants all the time. Embrace the heat with shorts. 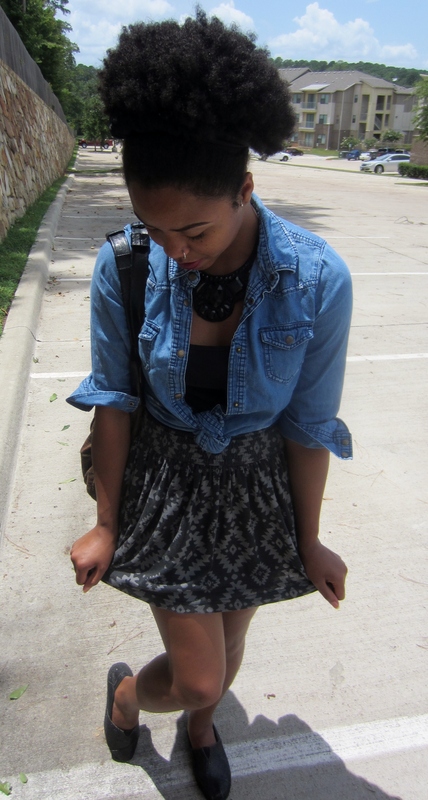 You can wear basic denim cut-offs or switch it up some shorts with a quirky print. 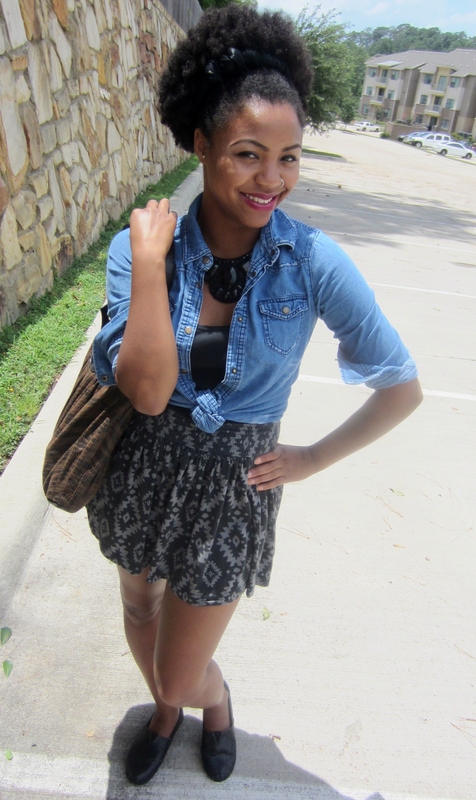 The ones above are shorts by The Pretty Junk from Asos Marketplace & cost $83.60. Sandals are a definite summer staple. Feel free to show off that fresh pedi in some strappy open-toed kicks! My advice is to stock up on as many pairs as you can because they are the one thing you will probably wear everyday of the summer, or close to. 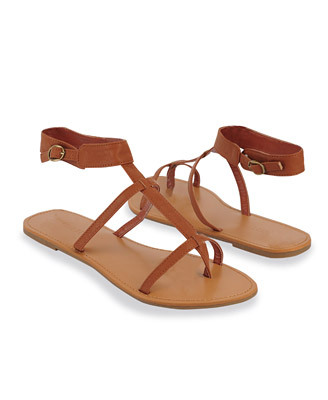 This pair is from Forever 21 and is only $12.80! 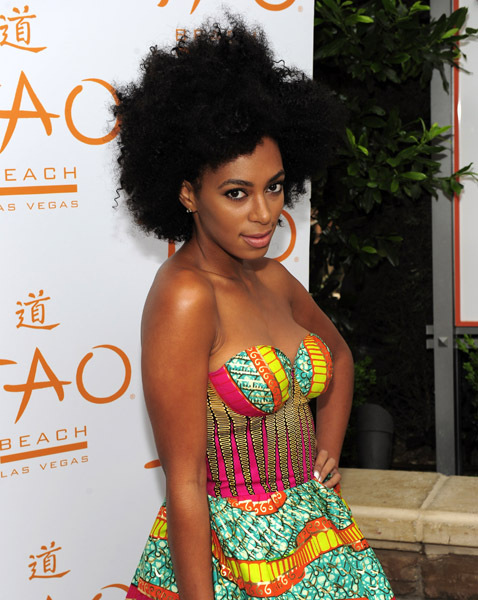 Today I am shining the spotlight on one stylish starlett: Solange Knowles. Solange’s style is the epitome of eclectic, eccentricity. She is the queen of mixing prints and she is never afraid to step outside of the box with her wardrobe. Lets admire her style a moment shall we? This songstress is one fearless fashionista, who exibits no-holds-barred style everytime she steps out. 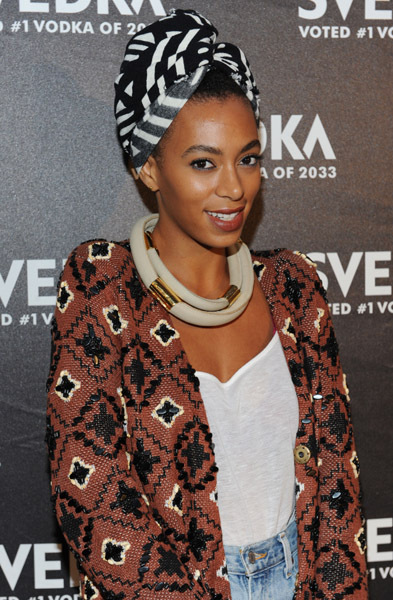 I love, love, love Solange’s funky and eclectic style ! Don’t you?